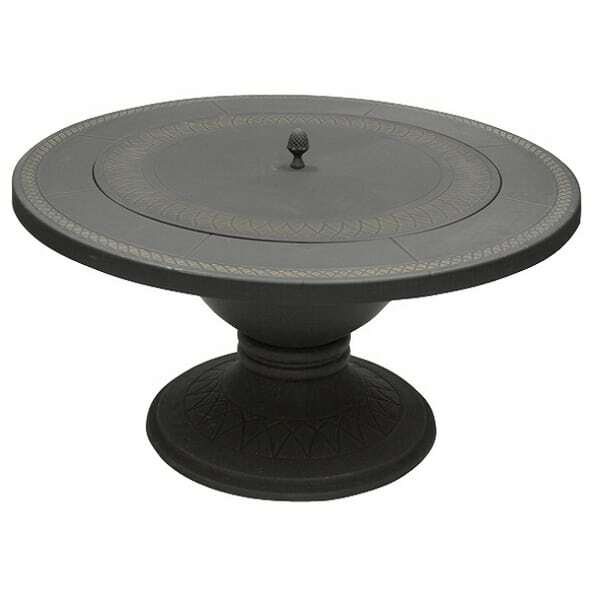 Heavier than your typical portable fire pit at 100 lbs., the Cast Iron Wood Burning Fire Pit offers remarkable weight perfect for outdoor placement on any patio. Imagine a few pieces of patio furniture surrounding this product, granting a warm space friends, neighbors and family members will love to gather around to chat or sip wine. 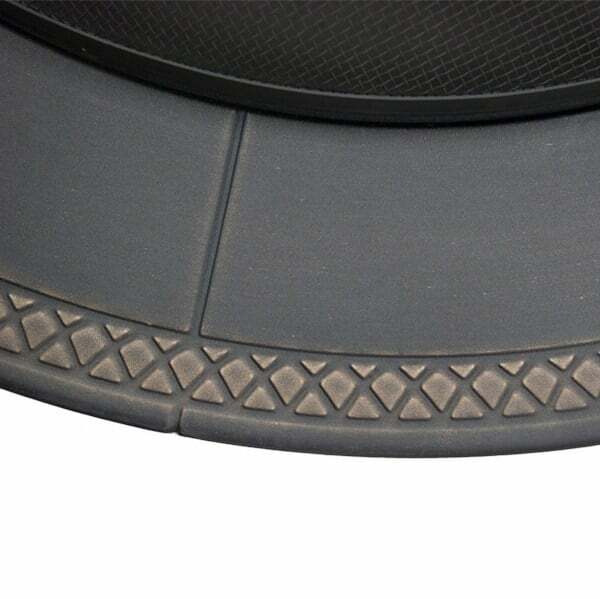 An innovative model, Dagan Industries provides a beautiful cast aluminum table top cover to replace the spark guard screen when the fire goes out, but you wish to keep a smooth and refined look. 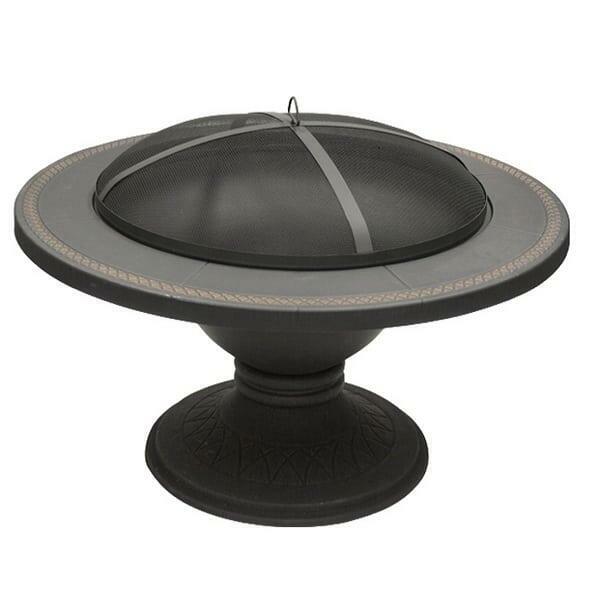 And this fire pit showcases a beautiful decorative ring around the rim with a bronze diamond motif that will look great in any outdoor room. This item ships via UPS / FedEx. 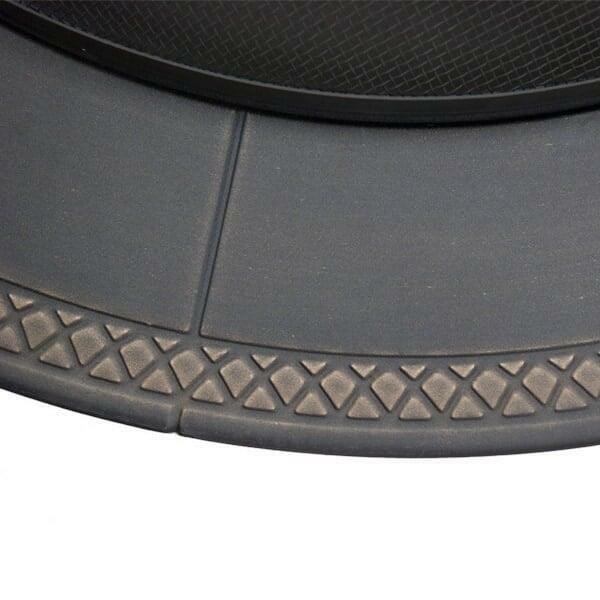 Most delivery times within the Continental U.S for in stock fire pits range from 2-5 business days depending on location. 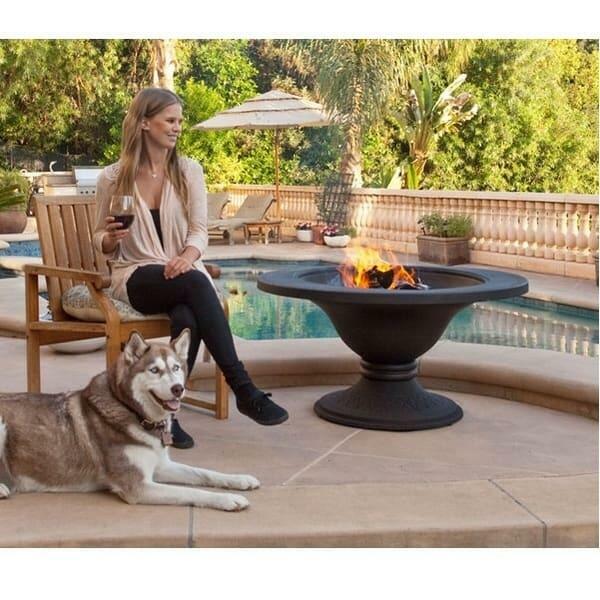 All in stock fire pit orders ship direct from the manufacturer or Family Leisure and usually ship within 48 hours from the time of purchase. Shipping Details & Conditions.